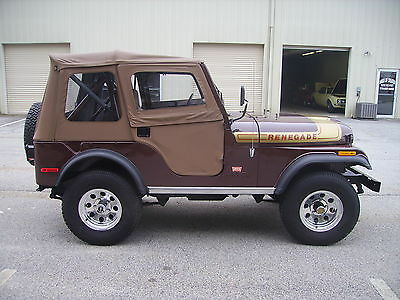 This is a really nice and freshly restored 1976 Jeep CJ5 Renegade Levi Edition 4X4. Everything was replaced except transfer case and axles which are fine. I have pics of the build before and during the paint process. This Jeep was taken apart and painted correctly. It was painted back the original color. I also have receipts showing over $5,000 in new parts. This Jeep is real solid and slick. It has not been lifted like most Jeeps. 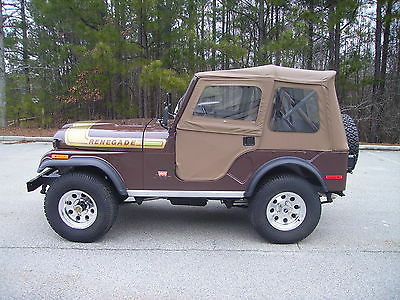 It has a Built 360 engine that is not original to the Jeep but runs out great. 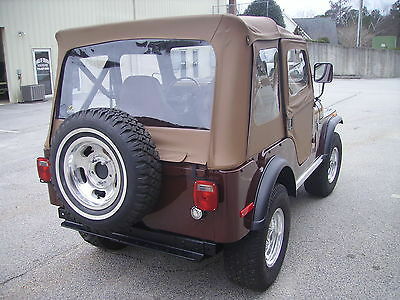 This Jeep came with the 304 ( Which I still have but it needs building ). It still retains the original 3 speed manual transmission in the floor. ( Trans was not replaced or rebuilt but performs great ) It has a NEW Bestop/Supertop ( Cost $1000 ) The seats are new and not original to this Jeep but I still have the original Levi Seats but they need to be recovered. The inside floors are Rhino Lined. The speedo is currently not working but I have new speedo cable for it. The gas gauge moves and appears to be working. The engine runs out good and the transmission shifts like it should. All lights work. The paint is a strong 8 out of 10 and I think I am being critical ( Probably should be rated a 9 ). It has good tires ( 31X10:50R15LT ) and wheels that were put on recently. This Jeep is really sharp!! It's hard to find these Jeep in this condition. This one is turn key and ready to SHOW AND GO. I have alot more pics if anyone wants to see them just let me know. 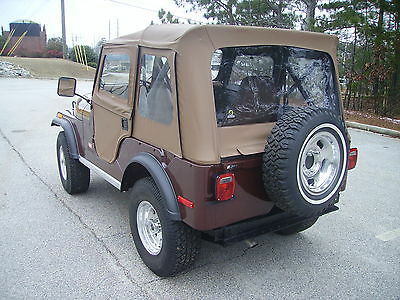 This Jeep is also For Sale locally and on other sites so auction could end early. It is being sold AS IS with no warranty given or implied in anyway. Pre Sale inspections are welcomed and encouraged so you will know exactly what you are buying BEFORE END OF AUCTION!! If you bid and meet reserve and are the high bidder when auction ends then you have bought it. This Jeep was a local trade in to our carlot and belongs to the dealership so Georgia residents will be required to pay whatever taxes is required by the state of Georgia on top of the final winning bid. ( Taxes should not be much though on a 1976 model vehicle ). Any questions you may have please ask. Don't miss this beauty! !